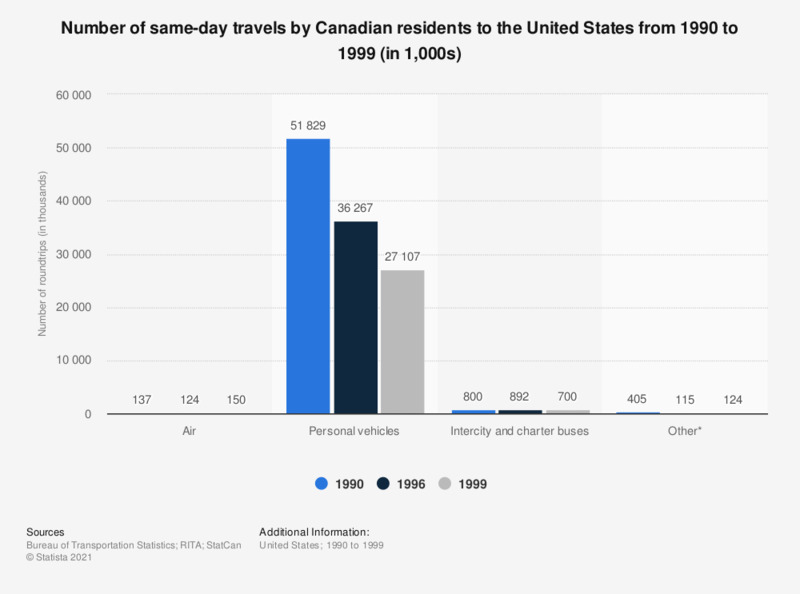 This graph shows the number and mode of same-day travel by Canadian residents traveling to the U.S. in 1990, 1996 and 1999. 800,000 Canadians used intercity or charter buses in 1990. * Other includes boaters, pedestrians, and cyclists.